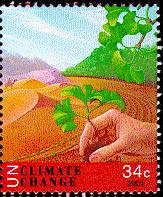 United Nations - New York stamp: Hand planting of Ginkgo. Stamp on this site . Three months in the life of a growing Ginkgo seedling. Timelapse montage by Victor Claessen on YouTube. 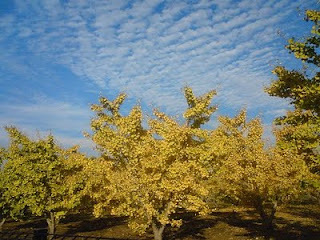 Beautiful photo of Ginkgo trees in Tokyo by Nagano Hiroko on Flickr.com. In 2005, the New York City Department of Parks & Recreation organized a street tree inventory. Surveyors counted 592,130 trees which represents a "19% increase" in the population over the 1995-1996 population count of 499,130 trees. The 10 most common street trees in New York City - among which the Ginkgo tree - in 2005 are listed here.